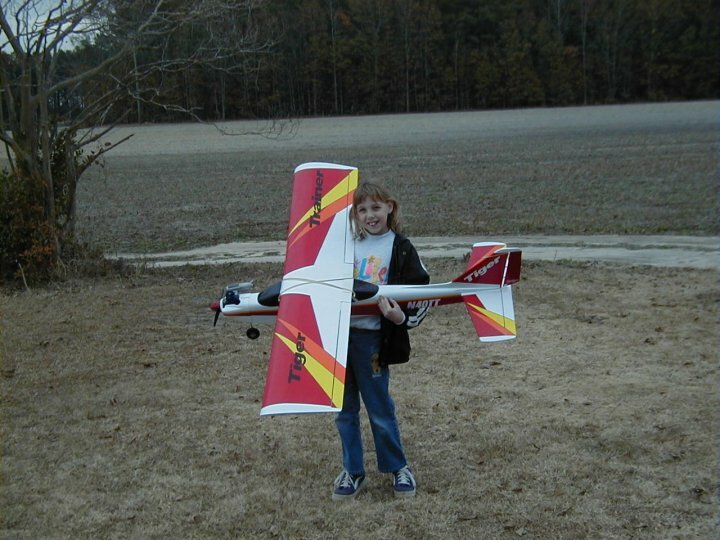 Amber's first real R/C plane. After starting out with something I scratch built she got pretty good at handling one, so I bought her this Thunder Tiger Trainer 40. Powered by an OS Max 40LA, it is a pretty nice plane to play around with. 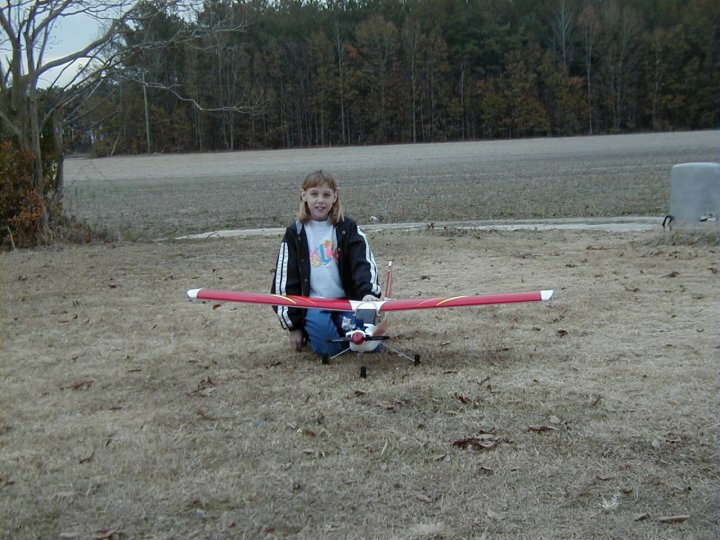 The first flights were pretty hairy until I found out that even though it was an ARF kit and assembled at the factory, none of the control services were glued in. Guess I should have checked a little better but this was my first ARF and I put faith in the manufacturer. 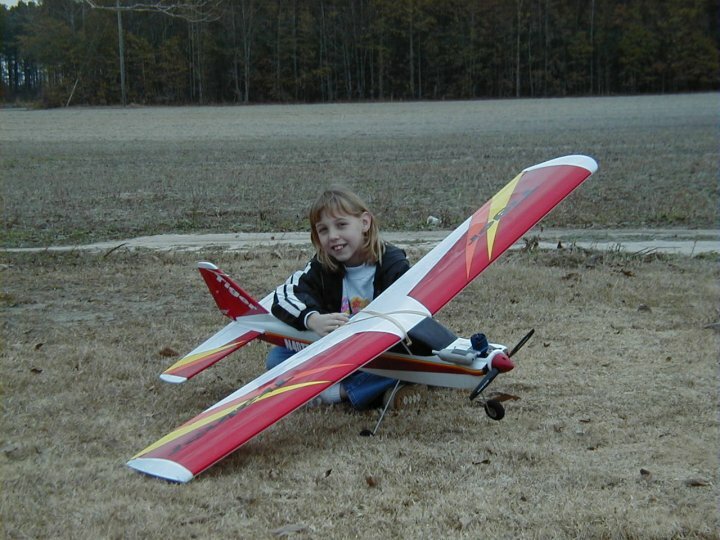 It could have been bad but it turned out OK. Amber has a few flights on this now and hopefully she will be able to progress on up to one day be my wingwomen while flying the big Mustangs in formation. 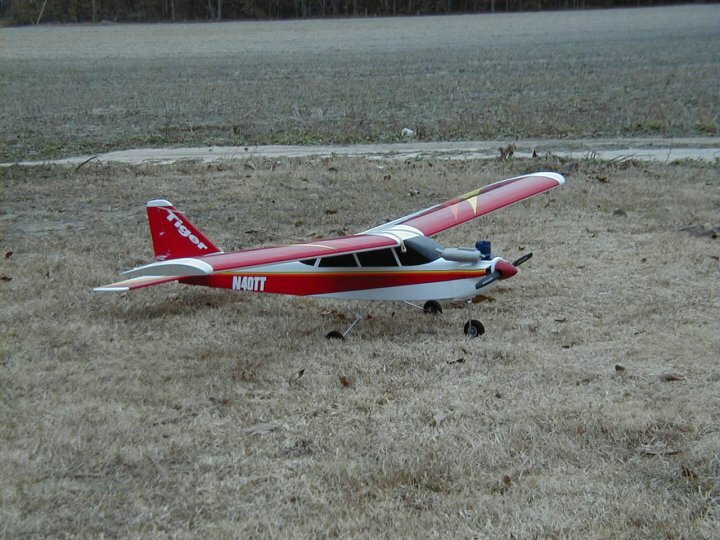 Spanning 61 inches and weighing 7 lbs this is a super nice plane for the beginning pilot.